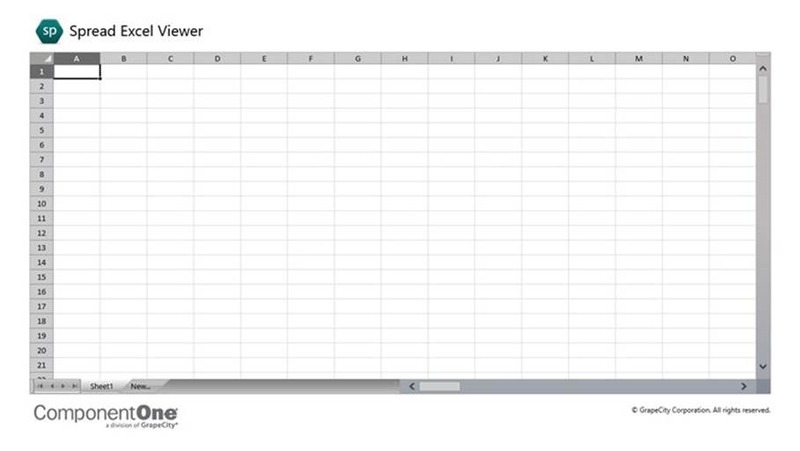 Well, today is turning out to be Excel Viewers’ Day! ComponentOne has just release an MX Viewer App too for Excel. This is sizzling hot people, fresh from the press. ComponentOne is a household name in Developers circle. The provide as their name suggest components and modules used by Devs in their apps. You may have been using their components without knowing it. They empower Devs to achieve their goals. So when a company like ComponentOne releases an App, you ought to take notice. 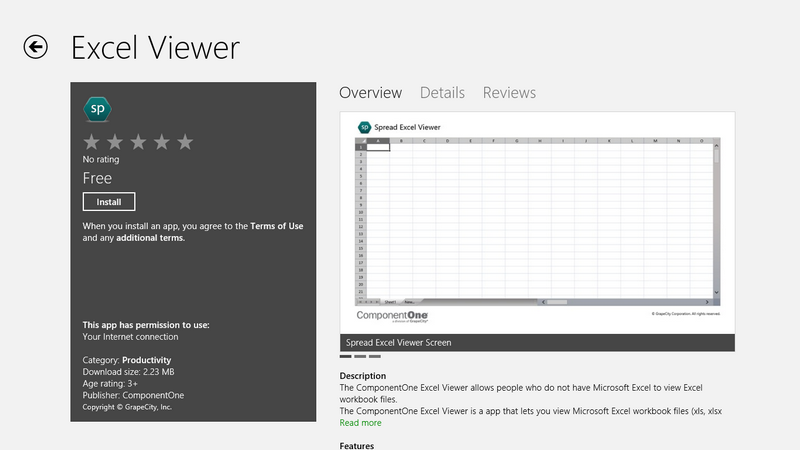 Now that we have different Excel viewers in the Store, the question is which one is best? Well, I am still investigating as we speak, but already my choice goes out to this current App from ComponentOne in terms of speed and function. The Anko solution doesn’t provide active Appbar from which you perform basic activity like copy/paste etc, you can only open file. Also, the ComponentOne solution is far more responsive than the Anko solution. So I am afraid we have a winner in our hand. Please note that all the solutions we have now are very difficult to work with with Touch, you may be more at home working in the sheets with a mouse or a pen-enabled devices. Hopefully we’ll see solutions down the line with fully Touch-compatible viewers. Also note that you may be able to do basic updates in the cells of these viewers, but they will not be saved. Your updates are for manipulations only, i.e. change formulas, tweak parameters etc. 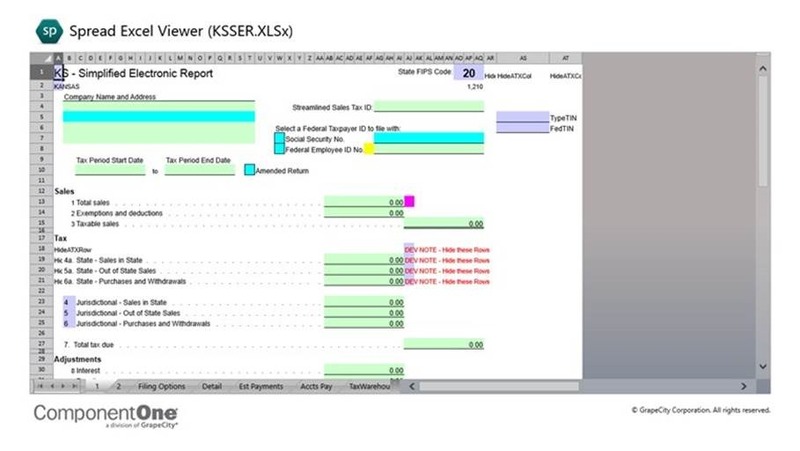 The ComponentOne Excel Viewer allows people who do not have Microsoft Excel to view Excel workbook files. 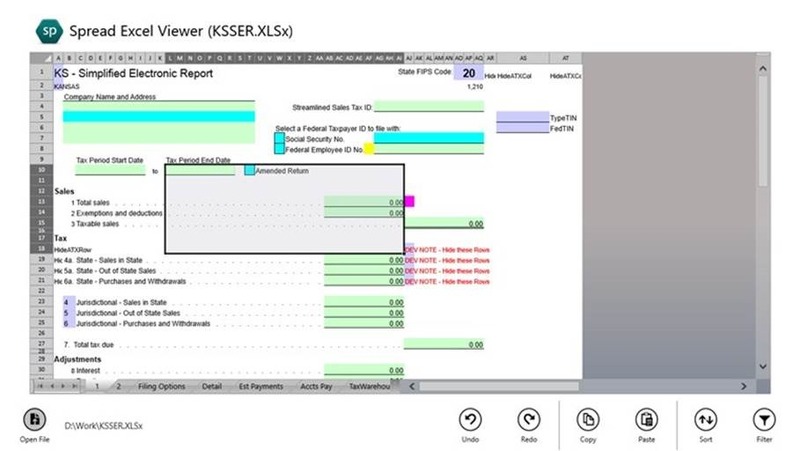 The ComponentOne Excel Viewer is a app that lets you view Microsoft Excel workbook files (xls, xlsx files). The ComponentOne Excel Viewer can open Microsoft Excel files but it will not display all features of Microsoft Excel. And any changes on file will not be saved back to the file. Please download this app now and start interacting with your complex Excel files from the Metro interface thereby improving your battery life on your mobile devices. Download via the Source link.